Cooper Green Mercy Health System offers a monthly Diabetes Support Group Meeting. The Support Group meeting is held on the 2nd Tuesday of every month from 9:00-10:00 am in the 2nd floor Cafeteria. These support groups are great time to learn more about staying healthy and to hear from others about their experiences with diabetes. 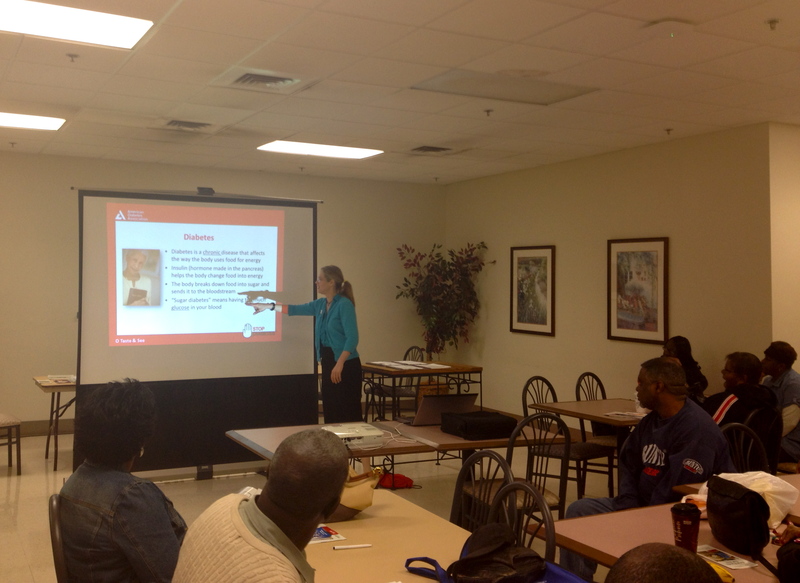 In April, Debbie LaCruz of the Birmingham YMCA, led a great discussion on making healthier eating choices. This month the focus is planned to be about keeping the family healthy. Come out and join us!